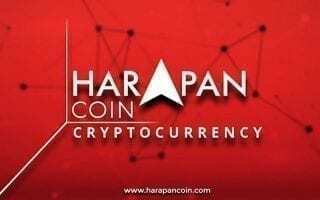 PETALING JAYA: A cybersecurity expert has cautioned the Pakatan Harapan (PH) government against rushing into the Harapan Coin cryptocurrency project. CF Fong, the founder of security services firm LGMS, said while he was not against the digital currency, now was not the time to implement it. “My personal view is that the government should not rush into cryptocurrency. We have so many things on hand that we are still unable to manage effectively in terms of cybersecurity. “Let us focus on boosting cybersecurity in the country first,” he told FMT. Federal Territories Minister Khalid Samad previously said that he had been involved in the Harapan Coin project even before the May 9 polls. He said the paperwork on the Harapan Coin would be presented to Bank Negara Malaysia (BNM) and Prime Minister Dr Mahathir Mohamad. In a video on the Harapan Coin website, Khalid said 30% of contributions from the sale of the coin would go to the system developer, while another 30% would go to Amanah and the balance to PH. He was also reported as saying that a monitoring body should be created to ensure the project would not be manipulated by individuals. Fong said Malaysia needed more comprehensive laws governing cybersecurity. “So many government sites are getting hacked even until today. Let us get the fundamentals sorted out first before we rush into cryptocurrencies. “Our ability to manage the security of the cryptocurrency platform will remain questionable if we do not address the problems,” he said.